Big Bang's G-Dragon celebrated his 26th (Korean age) birthday por making a generous donation. YG Entertainment shared that G-Dragon decided on the donation in return of his fans' overwhelming amor and support throughout the years. G-Dragon's fans made a similar donation, using his birth date, of 8,180,000 won to the same charity in his name. a poll se añadió: Which shoot was better? a question se añadió: When did he became the leader of BIGBANG? a comment was made to the poll: favorito! 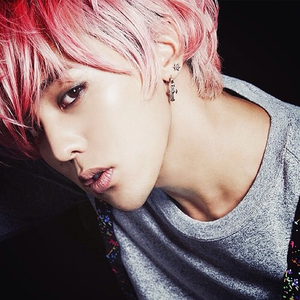 G-Dragon hair color? What song that was supposedly be GD's solo but later changed so that the entire group could perform as one?